You may receive updates from Mutual Aid Disaster Relief, the sponsor of this form. 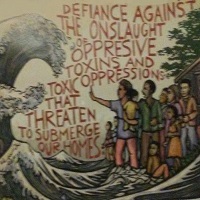 Mutual Aid Disaster Relief is a grassroots network that relies on people power to respond to disasters. Give us your contact info to stay connected with the latest in mutual aid, solidarity-based disaster relief efforts.